Protect your C7 Corvette and at the same give it a great look with these stainless and carbon fiber wrap splash guards. These are sold as a four piece package. 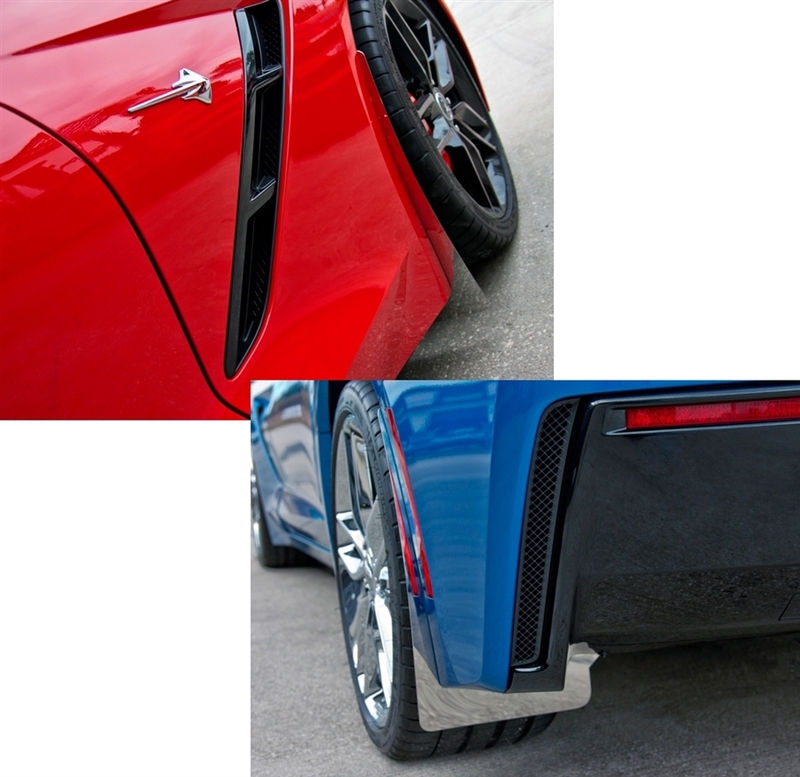 Dress up your 2014+ C7 Corvette Stingray with our Stainless Steel, Front and Rear Mud Guards with Carbon Fiber Wrap. These mud guards are designed to fit all 2014+ Corvettes on the front fender to protect the paint from dirt and debris and add a clean stylish look to your Corvette exterior. Please note, these mud flaps are custom made to order and take additional time to ship.